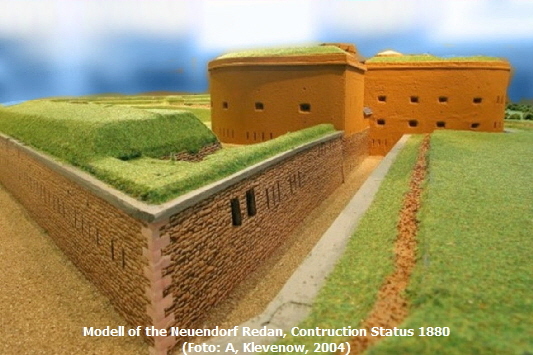 The Neuendorf Redan was built as part of the fortifications systems Emperor Franz to the left bank of the Rhine and protected - together with other works oft the systems - the north-east line of the Fortress Koblenz. Engineer Captain Cornely, the Redan arrow-shaped field-work) was constructed in form of a Neo-Prussian redoubt with underground galleries, ditches, batteries bridges and ramps as well as fortifications above ground which were several stories high. The central building was the Redoubt (independent work in major fortification and for flank protection the Orillon (Frenche; ear: semicircular flank work) a semicircular flank work. The top corner of the works was protected by a mortar battery and a guardcasemate (Bonnet). Below the main rampart lay a spacious casemate corps with an Escarpe (slope). 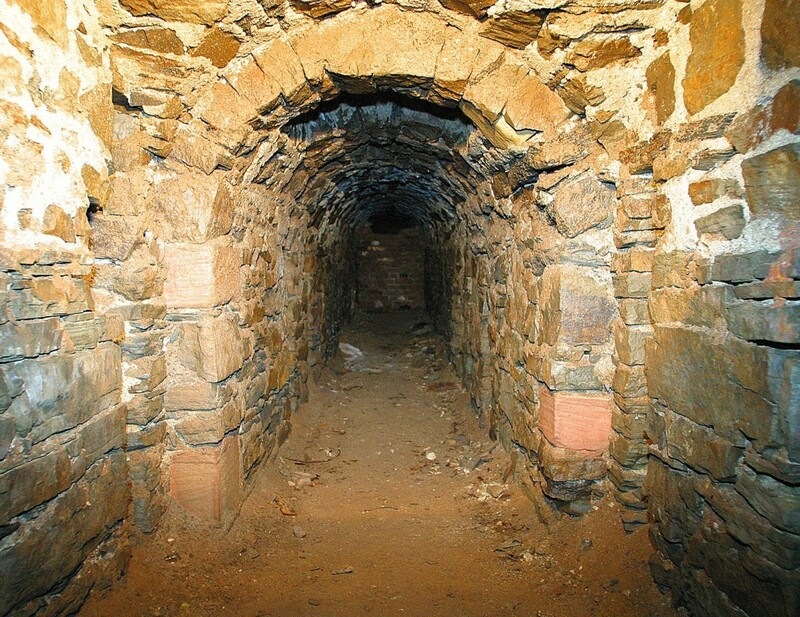 Below the outer fortification was the counter-slope with the mine gallery (each about 100 meters long) and the listening galleries (about 10 meters long).Between the counter-slope and the slope was a dry main ditch, 6 meters deep and 17 meters wide. The semicircular Redoubt and the Orillon were strengthenend to withstand bombs and was used by the soldiers as acommodations. 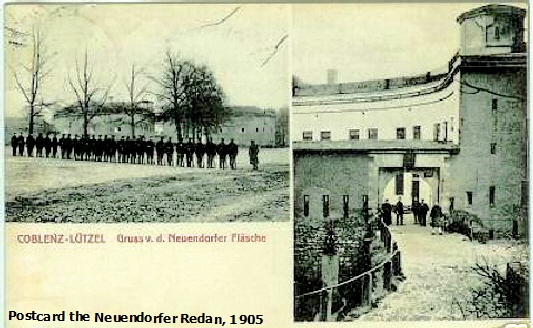 After completion of the Redan, troops of two infantery regiments immediately occupied the fortress. Presumably in 1911, the works were razed and the conostrucition of the Train Barracks began. 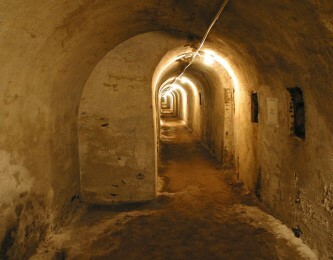 The ditches were filled and only the spacious underground galleries were - except for a small part - preserved in their former shape until today. Guided tours only upon request an upon announcement in the local press. Lease keep your valid ID-card or passport available for entry of military area. By decision of the Vienna Congress, the Rhine Province came to Prussia in 1815. In order to secure the Rhine border, strong bulwarks were constructed around Koblenz beginning in 1815. 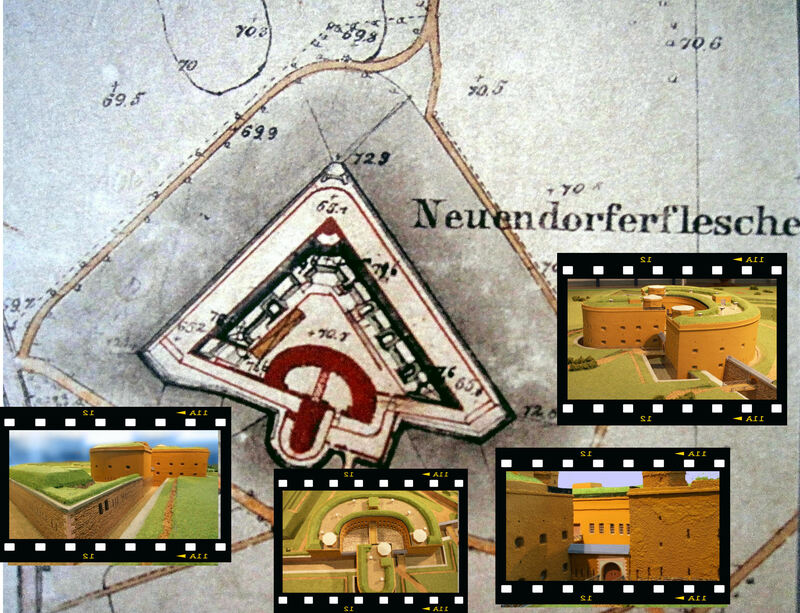 The Fortress Ehrenbreitstein was incorporated into the new foritfications systems. 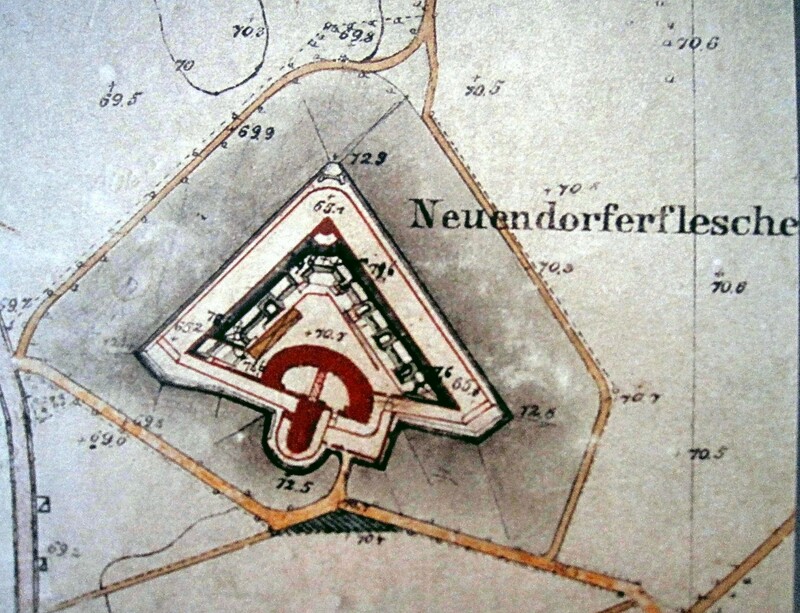 According toÂ plans made by the Prussian General von Aster the following fortresses were erected: Fortress Emperor Franz north of the mouth of the Moselle. 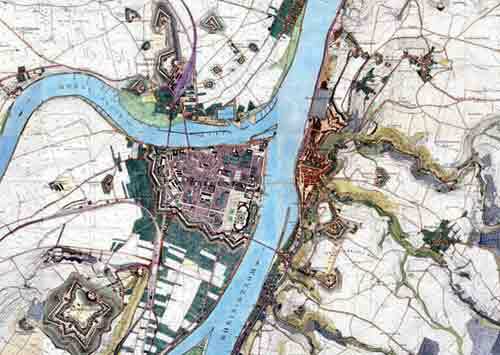 Fortress Emperor Alexander on the Karthause, Pfaffendorf Heigths, Fortress Ehrenbreitstein on the right bank of the Rhine and the Cidadel of Koblenz.